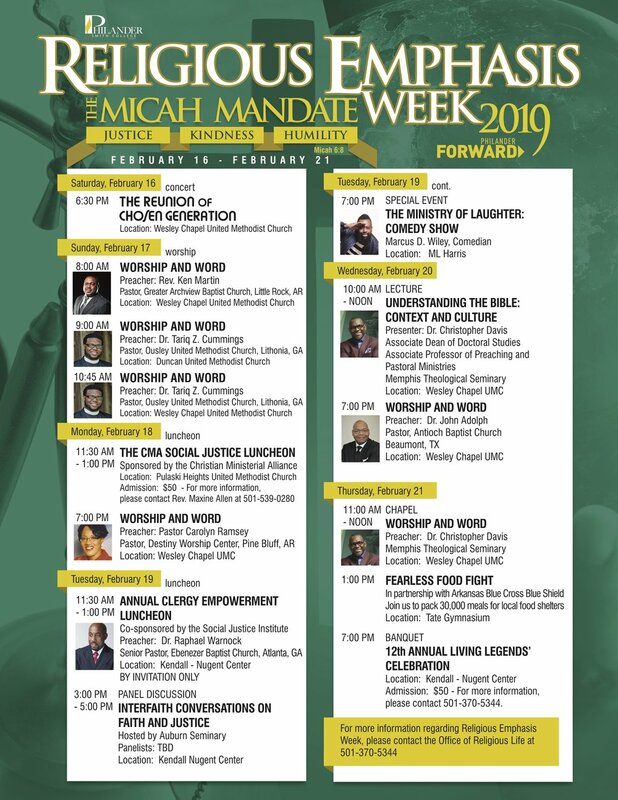 Philander Smith College’s annual Religious Emphasis Week (February 16-23, 2019) engages students, faculty, staff, and the community in activities and programming designed to provide opportunity for intellectual and spiritual growth. This year’s theme “The Micah Mandate” focuses on justice, kindness and humility as keys to successful living. Join us for various events and programs throughout Religious Emphasis Week!